On the following pages - in alphabetical order - you'll find photos I've run across over the years or taken myself. Each of the images is a thumbnail; click on it to view the full-sized image. In the morning of 29 May 1998 I took my digital camera along to the 6th and 3rd kyu tests given at the Skidrow Dojo. For better or worse I used the lowest resolution, which, when combined with the low level of light in the dojo, makes for some dissapointing results. Nonetheless, here they are, in thumbnail and full-sized images. Aikido exam tests taken in San Francisco, in the Skidrow Dojo, on 29 May 1998. These photos have connections to my time at San Francisco's City Dojo, where I was taught by Robert Nadeau, Richard Moon, Frank Doran, Nick Scoggin, et alia. In April 1964 O'Sensei visited the Hawai'ian Islands. Here he is at the airport, at Dr. Watake's house, sitting on a canoe in the Royal Hawai'ian Hotel, and at the Shinonome Besso Tea House. O'Sensei attended the opening of the Honolulu Aiki Dojo. O'Sensei was part of a demonstration of Aikido for the general public, which took place at the McKinley High School in Washington. Formal portrature and casual shots of O'Sensei. 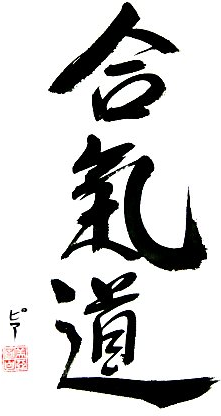 This page is part of the Aikido Web Ring. List all this webring's pages; visit another page; add your page to this webring.